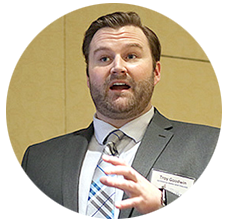 Putting on events with sponsoring businesses is an advertising play that requires higher-level deal-making, planning, and execution, according to a presentation at the New England Newspaper and Press Association winter convention. Dan Cotter, GateHouse’s director of sales development and training, and Troy Goodwin, special events account manager for GateHouse, described during the presentation GateHouse’s foray into pitching and putting on events for local businesses. 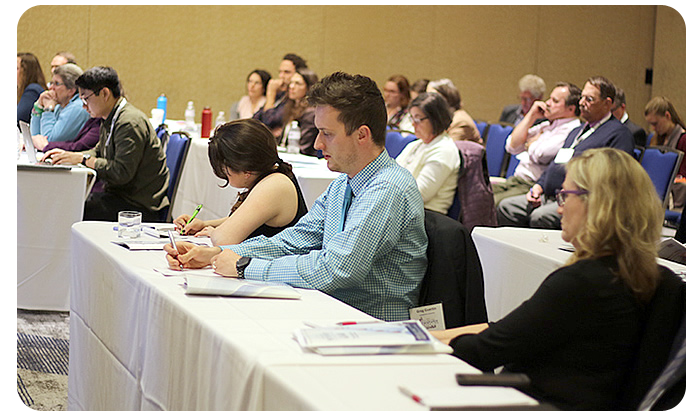 Fifty people attended the presentation, titled “How to make more money selling events,” Friday, Feb. 24, at the Boston Marriott Long Wharf hotel. Cotter and Goodwin described how, after some struggles with sales pitching, GateHouse was able to put on events for sponsors such as Stop & Shop, Hood Milk, Edelman Financial Services, and Bertucci’s. GateHouse Media New England has six dailies, 98 weeklies, and 168 local news websites in five New England states. Goodwin said that, from the pitching process and beyond, publishers hosting events for businesses should form strong relationships with their clients. “It becomes a whole (other) level of a relationship. It’s not just selling a product to them. It’s selling the idea of working together with them,” Goodwin said. Goodwin and Cotter said publishers should include their event sponsors heavily in the event planning process and allow those sponsors to customize their event advertising in creative ways, keeping them engaged and invested in the event. Moreover, the sponsors might even shoulder a majority of the planning work because they are impassioned. 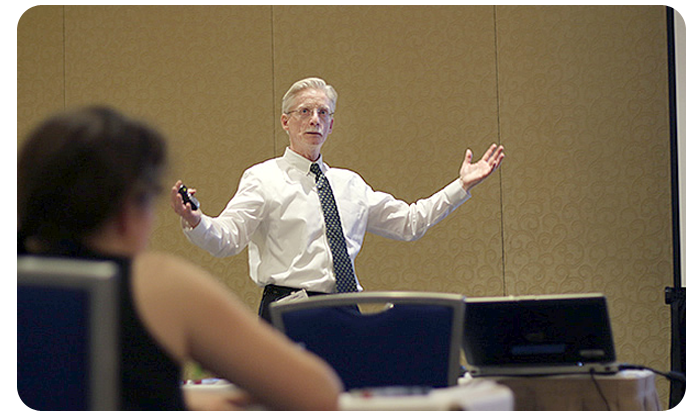 Targeting the right local businesses to pitch to is a crucial prerequisite for any events, Cotter said. He said publishers should find companies that don’t usually advertise, because events often attract nontraditional ad clients because of the exciting opportunity those events present to bigger organizations and businesses. Goodwin said that, after choosing the right target, salespeople should pitch to businesses in person from the top-down, avoiding miscommunication and less receptive middle managers. “Go right up to the top from the get-go, because once you move down, there’s a requirement to work with us,” Goodwin said. Middle managers such as regional ad representatives often reject pitches for events, based on budget constraints. And ad agencies focus too much on pricing and minutiae than big-picture event coverage, he said. Cotter said that, instead, approaching a company’s vice president or director with a solid sales pitch is a safer bet because executives have more control over budgeting and are more willing to spend money on a good investment. “If you bring in a new idea that’s going to differentiate them from their key competitors, they’ll find the money,” Cotter said. Both Goodwin and Cotter suggested initially sending emails to clients to create interest as opposed to calling them, because executives don’t answer calls and prefer reading something on their own time. They also suggested doing pitches in person, which avoids being cut off over the phone. From there, prospective event hosts should focus on giving clients what they want and helping them grow their businesses through pre-event, event, and post-event coverage in their publications rather than selling different tiers of ad packages, Cotter and Goodwin said. They said price levels should be starting points from which clients should customize their own ideal packages. “The bottom line is over-deliver value to sponsors, especially in the first year. It’s really hard to get traction with these events,” Cotter said. “Get grabby – the idea should be to tell businesses to come to us with (their) dreams, and then we’ll negotiate a price,” he said. Fifty people attended the convention presentation on ‘How to make more money selling events.